First off I apologize for spelling the name Qaddafi about 3 different ways during this post. The fact is though, I am beginning to believe that their IS no correct spelling of the Islamic Dictator's name, as I have seen it spelled differently on FOX News, MSNBC, CNN, local networks, international media outlets, etc. They all spell the name differently. The most outrageous spelling I saw was on the Local Fox Affiliate in Philadelphia. They spelled it Khadaffi. I thought that was hilarious. I am not even sure it is a completely outrageous spelling, but it just looked comical seeing it spelled that way on television. On the other hand it was a lot of fun spelling his name various different ways in the same piece. 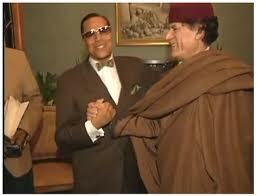 Muammar Qaddafi was not just your everyday Middle Eastern/African dictator with outrageous greed and a lust for blood. Qaddafi was a moderate tyrant, who had ties strong ties to some of recent history's most notorious, murdering, dictators such as Charles Taylor of Liberia and Idi Amin of Uganda. Not much different than the ties America has to Osama Bin Laden, Saddam Hussein and the international drug trade. Despite what you thought of Muammar Gaddafi, he was not the black and white character we have been made to think he was. He was as grey as they come. Anyway here are 10 things you may not have known about the recently deceased dictator, unless you did a wiki on him. 1. 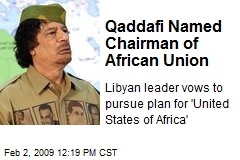 Sought to implement a United States of Africa. One currency, one military and one passport, to allow Africans to travel freely throughout the continent. 2. Qaddafi changed his state run television stations from Middle Eastern themes to African themes often dealing with slavery and encouraged Libyan men to marry only African women and Libyan women to marry only African men. 3. In 1969 Ghadaffi led a small band of junior military officers and implemented a bloodless coupe against King Idris, who at the time was in Turkey undergoing medical treatment. They abolished the Monarchy and implemented the Libyan Arab Republic. 4. After gaining power he immediately shut down American and British military bases and told western officials he would expel their operations unless they shared more revenues and increase Libya’s share from 50% to 79%. 5. Helped to fund the Nation of Islam under the leadership of Minister Louis Farrakhan. Farrakhan maintained a close relationship with Qaddafi even while being criticized consistently by the U.S. for doing so. 6. Proclaimed the Great Manmade River, built under his regime the 8th Wonder of the World. This river, estimated at being worth $25 billion was claimed to have been completed without the help of major countries or loans from world banks. 7. Called America out on it’s role in training Osama Bin Laden for the war against the Soviet Union. 8. Implemented the first international arrest warrant for Osama Bin Laden in 1998 after being linked to the killing of German anti-terrorism agents in Libya. 9. Had a close relationship with Idi Amin whom he sponsored and gave key ideas such as the expulsion of Indian-Ugandans. 10. In 2004 met with Tony Blair who commended Ghaddafi as a new ally in the war on terror. During the Bush Administration the U.S. government began a diplomatic relationship with Qaddafi and Libya, as he was seen as an ally in the War on Terror. 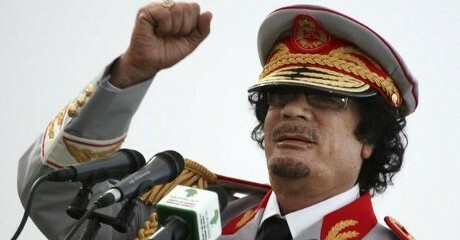 The way in which Qaddafi was killed has raised many questions. The rebels who captured him are in danger of being investigated and prosecuted for his possible murder. What is clear though is that Gaddafi was not the ruthless dictator he has been characterized as, but instead a strict Islamic dictator who represented the last of a group of Middle Eastern leaders who rose from poverty to become strong advocates of strict Islamic principles in an evolving Middle East. The rebels who sought to overthrow Ghaddafi and his regime are merely young, western influenced individuals who are enticed by the way of life that America has to offer, mixed i'm sure with a bit of CIA influence. I have always believed that not every nation is meant to be a Democracy. I think that the struggle to bring Saudi Arabia into that fold is a pretty good example of this theory. It will certainly be interesting to see if and how Libya will progress in the future post-Ghaddafi and how strong a hand America will have shaping this new government.